Beyond the city limits of Oslo and other major cities you’ll be faced with simple two-lane roads. 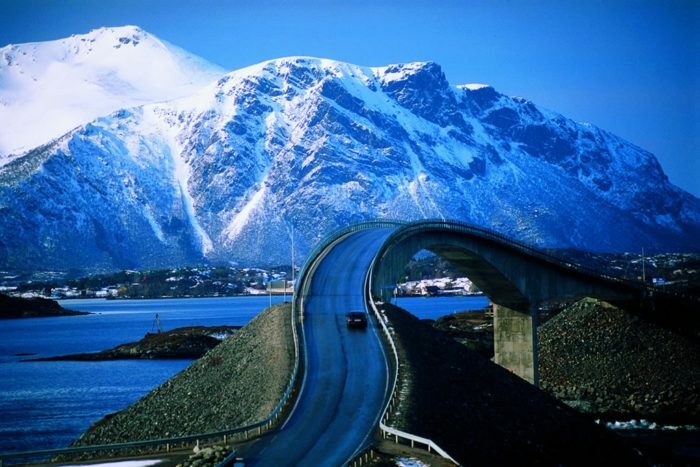 Norway’s mountainous areas have narrow, windy roads. The weather can wreak havoc on your ability to drive and some roads close due to snow from late fall to late spring.